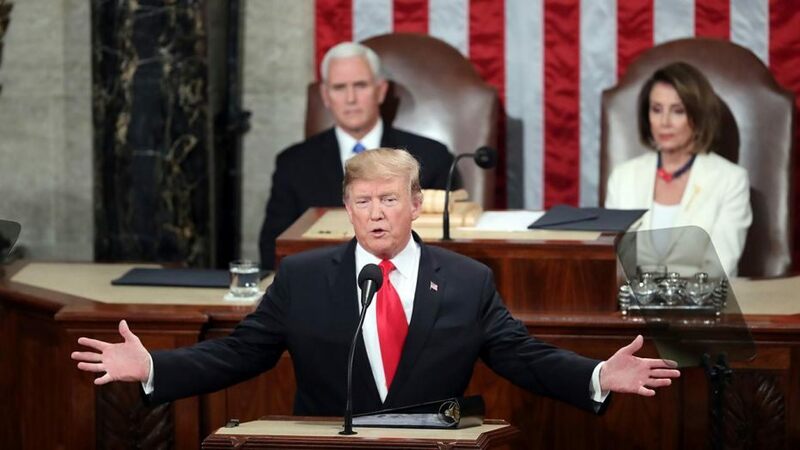 In Tuesday’s State of the Union address, President Trump announced he will hold a second nuclear summit with North Korean leader Kim Jong Un in Vietnam February 27 and 28. But Trump gave no clues as to how this new round of talks will move the denuclearisation ball forward in the face of a recalcitrant North Korea. If the Trump administration sticks to its current strategy, US vital interests will remain secure. And in the end, that’s what is most important. Earlier this year, the professional Korea watchers said we should wait until Kim’s New Year’s address to signal the prospects for a denuclearisation deal. Well, that turned out to be a wash. Translation: Pyongyang would prefer to go back to the old way of negotiating. That’s where the North gets negotiated benefits on the front end and finds excuses not to give up its nuclear weapons on the back end. Everyone from President Trump on down knows that Kim’s definition of “denuclearisation” does not match the US interpretation. That said, the Trump administration remains more than willing to sit down with Kim again. The president reaffirmed that in his State of the Union speech. Nothing in the president’s address suggests the fundamentals of the American negotiating strategy have changed. The US wants Kim’s regime to take substantive steps toward denuclearisation before providing any relief from sanctions or other punitive measures. Meanwhile, the US continues to dangle the benefits of normalising relations, but only after Kim shuts down his nuclear arsenal. Until that happens, the US intends to keep up its pressure campaign. That’s as it should be. It’s the pressure campaign not the negotiations that is safeguarding US interests. First, a war in Northeast Asia that’s not good for anyone. Second, we should be worried about North Korea having the ability to “blackmail” us with a demonstrable capacity to attack the US mainland with nuclear weapons. The current US strategy which includes nuclear and conventional deterrence, robust missile defenses and heavy sanctions on North Korea is the best way to control both threats. These protective measures must remain in place until the danger is past. President Trump can continue to negotiate until the end of time he won’t compromise US security as long as he doesn’t compromise on what keeps Kim in his little box. My advice to President Trump: Don’t do it. The biggest mistake the US could make is falling back into the failed strategy of giving Kim something for nothing. It is especially important that the US keep the US-South Korea conventional alliance strong and resilient. Washington and Seoul are currently negotiating cost-sharing for US forces in South Korea. It’s important that both sides work for a good result. Signs are right now that this is what is going to happen. There is no question that the North Koreans have no desire to take the road to nuclear zero. Still, kudos to Trump for trying to take them there. After, it’s what would be best for both parties especially North Korea. Still, while the president should get credit for initiating a serious negotiation, what’s more important is that those negotiations produce no concessions that threaten vital US interests.